Starting on Friday, August 31, 2018, the church in Phoenix, Arizona, USA, will move to a new location. Sister Maria Luisa Piraquive held a live Bible study at the church in Bilbao, Spain, during which we meditated on Psalms 40. 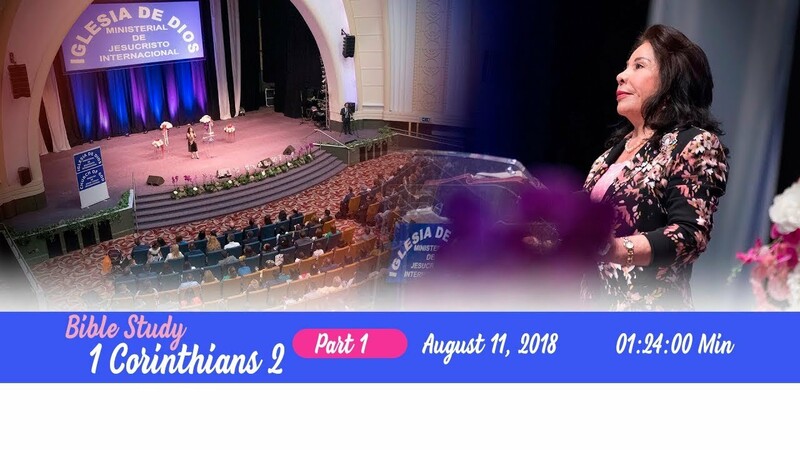 Sister Maria Luisa held a live Bible study in Rotterdam, The Netherlands, where over 500 believers came together to glorify God and enjoy meditating on the word of the Lord in Psalms 39. Bible study of Psalm 29 (Part 3) featuring Sister Maria Luisa Piraquive, held in North Quito, Ecuador on February 4, 2018. Sister Maria Luisa conducted a Bible study in San Sebastian de los Reyes, Madrid, Spain on Tuesday, August 14, 2018. 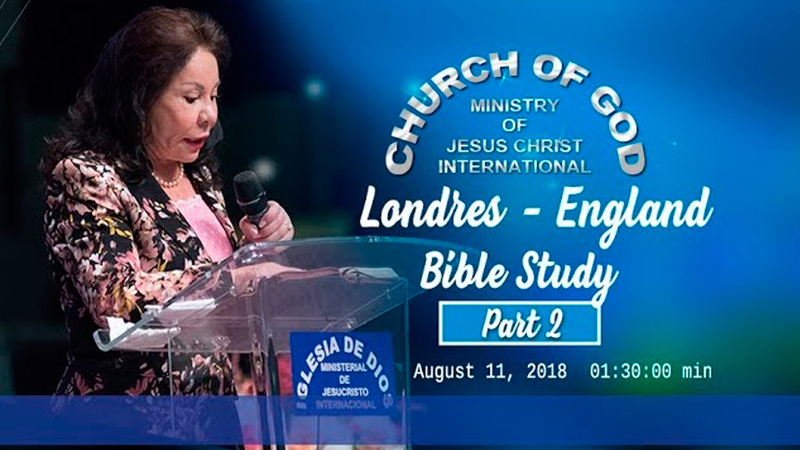 On Saturday, August 11, 2018, Sister Maria Luisa Piraquive held a live Bible study in London, England, with over 2,000 people in attendance. 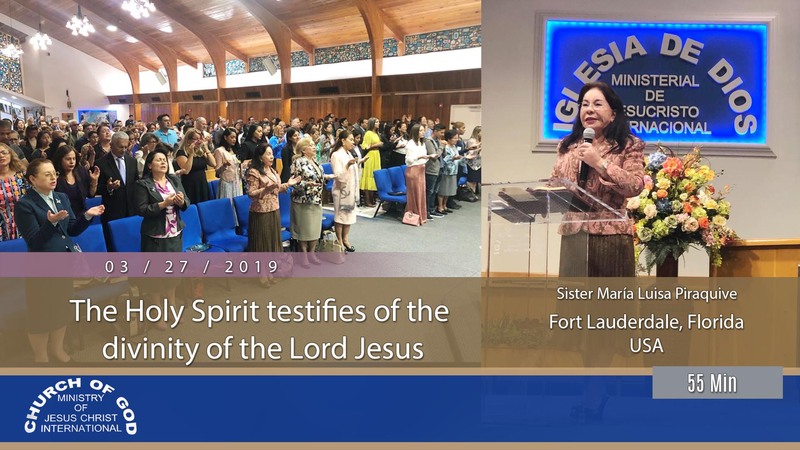 Audio recording dubbed into English of the Bible study conducted by Sister Maria Luisa Piraquive at the church of Hialeah, Florida, USA on June 12, 2018. My Spirit will lead you, rule over you, and teach you all things. 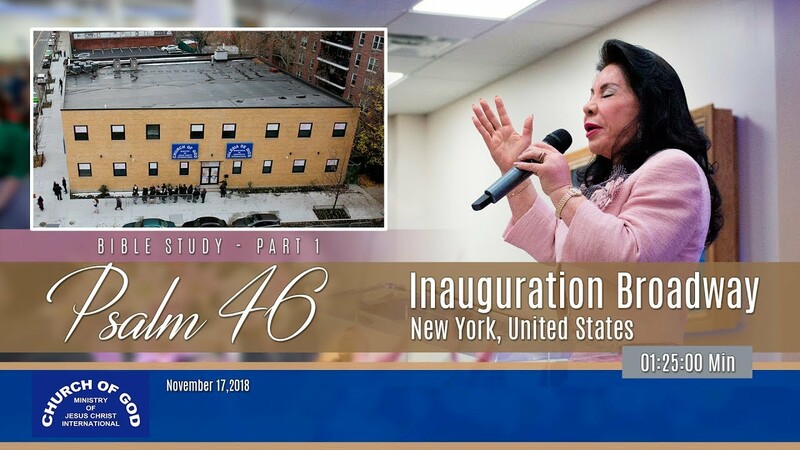 Sister Maria Luisa Piraquive is the worldwide leader of the Church of God Ministry of Jesus Christ International. God first called her when she was seven years old, through this calling He commissioned her to work on helping set aside souls for the kingdom of heaven. The spiritual gifts—as described in the Bible—began manifesting themselves in her beginning in 1972. People attest to have witnessed in her the signs, wonders and marvels that the Scripture states God’s apostles and prophets are known for.. This truth is proven day by day. There are countless testimonies from people around the world who bear witness to blessings, benefits, deliverance, peace, and life changes they have experienced. The support from God the Father, the Son, and the Holy Spirit to His Work and the person He chose to lead His Church in this day and age is undeniable. 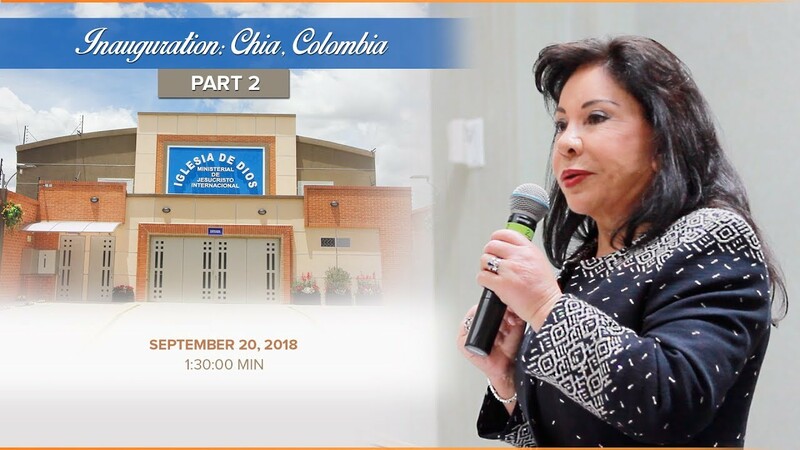 Sister Maria Luisa Piraquive preaches the Word of the Lord throughout the world, and has conducted hundreds of Bible studies in almost every continent. As a result of her exemplary religious and community work, she has received Honorary Doctorates or doctor honoris causa, academic honors, and many other accolades, as bestowed by various institutions both in Colombia and throughout the world. Download the Hymn Book App for iOS & Android devices.